Maps of Georgia tend to be an very helpful piece of family history research, particularly if you live faraway from where your ancestor resided. 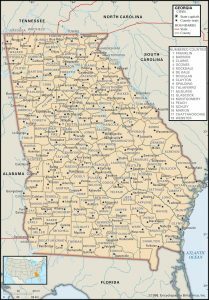 Due to the fact Georgia political boundaries oftentimes changed, historic maps are significant in assisting you uncover the exact specific location of your ancestor’s hometown, what land they owned, just who their neighbors ended up being, and much more. Maps of Georgia generally are likely to be an outstanding reference for getting started with your research, since they provide you with significantly valuable information and facts quickly. 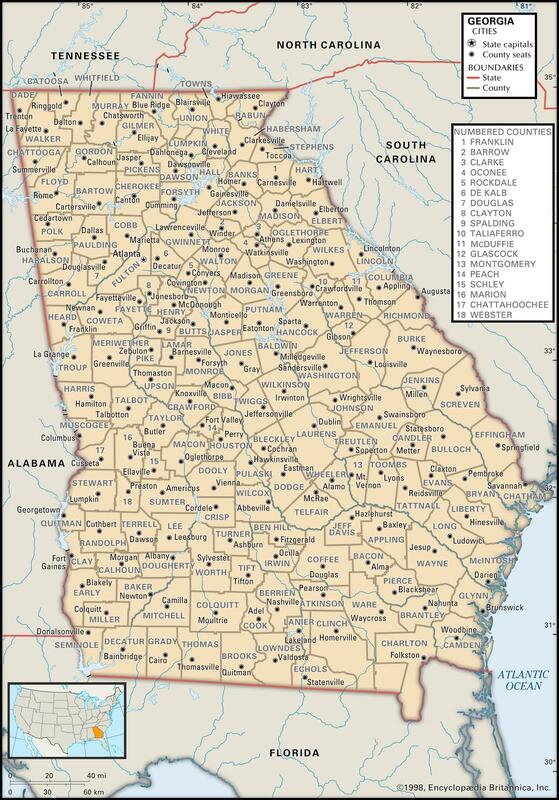 Georgia Maps are usually a major source of considerable amounts of information and facts on family history. The states bordering Georgia are Florida in the south, Alabama to the west, Tennessee and North Carolina in the north and South Carolina to the east. Georgia’s 10 largest are largest cities are Atlanta, Augusta-Richmond County, Columbus, Savannah, Athens-Clarke County, Macon, Roswell, Albany, Marietta and Warner Robins. Learn more about Historical Facts of Georgia Counties. These are scanned from the original copies so you can see Georgia and Georgia counties as our ancestors saw them over a hundred years ago. Some Georgia maps years (not all) have cities, railroads, P.O. locations, township outlines and other features useful to the avid genealogist in Georgia.